The 25 grams of coffee in each bottle of batch #7 come from a world-class specialty coffee origin: Rwanda. Super fruity flavors and a delicate sweetness that hits your palate like a juicy peach make this coffee truly stand out. Find out how these distinct characteristics end up in your bottle of 25 GRAMS and follow its journey from bean to bottle. Happy exploring! The coffee in batch #7 is produced by smallholder farmers of the Gakombe community in the region of Huye, located in the south of Rwanda. After picking the ripe coffee cherries, the farmers take them to the Gift Washing Station. The station is run by Community Coffee Rwanda (CCR), a local initiative that employs 73 people, the majority of which under the age of 25. 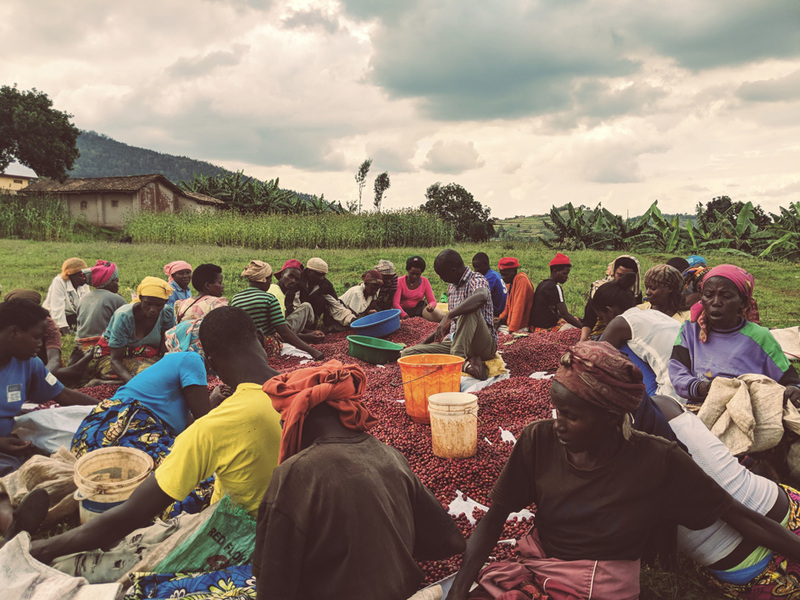 Rwanda has a long coffee-growing tradition, yet since 2004 the East African country is increasingly focusing on specialty coffee. Unfortunately, many farmers still lack access to this promising market. 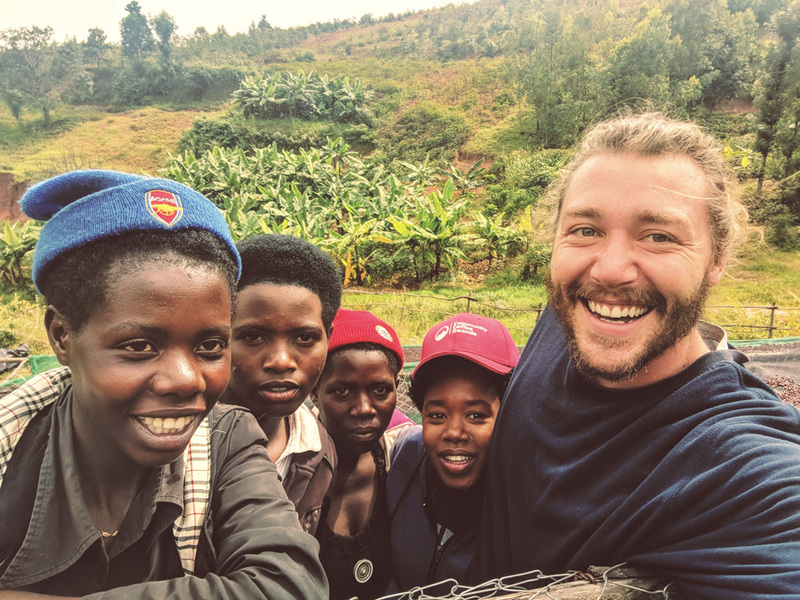 This is why Community Coffee Rwanda (Instagram), founded by Eric Wright in 2017, supports farmers to improve their coffee processing in order to get the best out of their beans. This, in turn, helps them get access to specialty markets and achieve higher prices. CCR focusses on community-based development, allowing farmers and their families to benefit from group savings and microfinance opportunities. To provide community support and to build capacities of the farmers, and especially their children, is key to CCR’s mission. Now let's take a closer look at their amazing coffee and why it offers such a unique tasting experience! First, the coffee grows at an altitude of 1,900 meters above sea level, which is ideal since the cooler temperatures at such a high altitude delay the cherry growth cycle. This results in a longer ripening process, allowing the beans to develop a fuller, richer, and more pronounced flavor. Second, the particular coffee variety they produce is Bourbon, an important Arabica variety that is known for excellent cup quality. 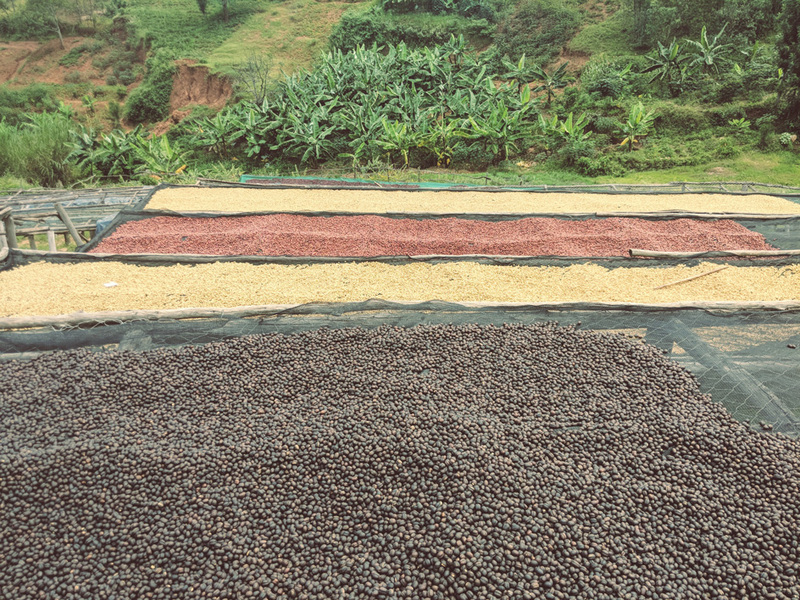 Third, the processing of the coffee is natural, meaning that the cherries are left to dry in the sun before removing the actual beans. While this labor-intensive process saves a lot of water, you also get rewarded with a more complex flavor profile than that of a washed coffee (i.e. “washing off” the pulp and skin before sun-drying the beans). As a result, your batch #7 delivers stone and berry fruit flavors with hints of red grapes and a floral touch, a recipe that will have you crave for more. Be assured that there is no third party involved in trading this coffee. The beans are first transported to the port of Dar es Salam, the capital of Tanzania, from where it gets shipped to Hamburg, Germany. 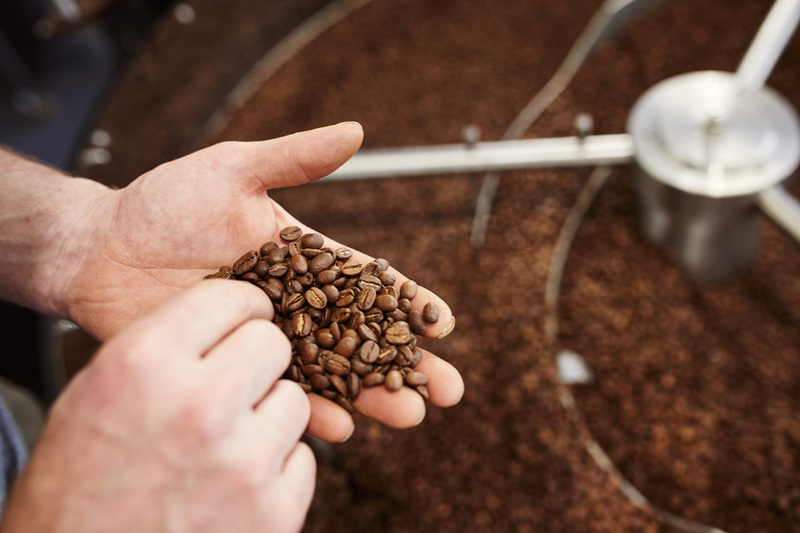 From there they are brought to Bavaria via Autobahn and are securely stored at our roasting partner’s facilities. 25 GRAMS is very excited to present Wildkaffee (www.wild-kaffee.at) as our roasting partner for the new batch. 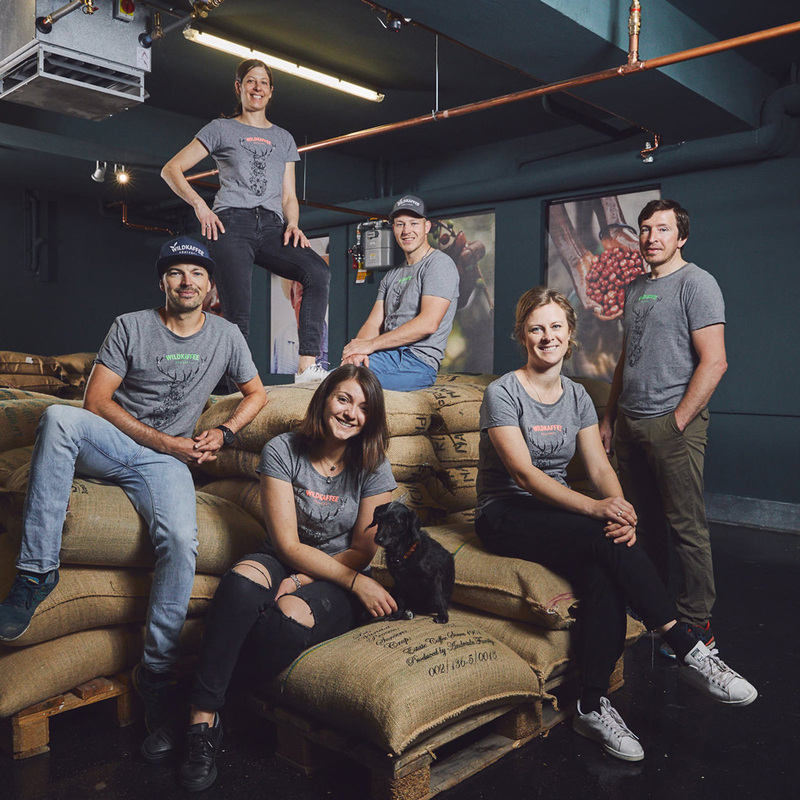 Nestled in the Bavarian Alps the roastery was founded by Stefanie and Hardi Wild in 2010. Almost 10 years later the roastery is now very well known within and beyond the borders of its native Garmisch-Partenkirchen. A relentless love for coffee, a state-of-the-art machinery and warehouse, attention to detail and rigorous quality control make them one of the best in the game. We life sustainability, thus we didn’t want to throw the used coffee grounds in the trash. That’s why 25 GRAMS partnered up with the startup Pilzkiste (www.pilzkiste.at). Nina, Mercedes and Jasmin from Pilzkiste wanted to end the waste of coffee grounds, which is why they set up an urban mushroom farm where they grow oyster mushrooms straight out of the coffee grounds. Sounds good? Well yes, and they also taste fantastic!